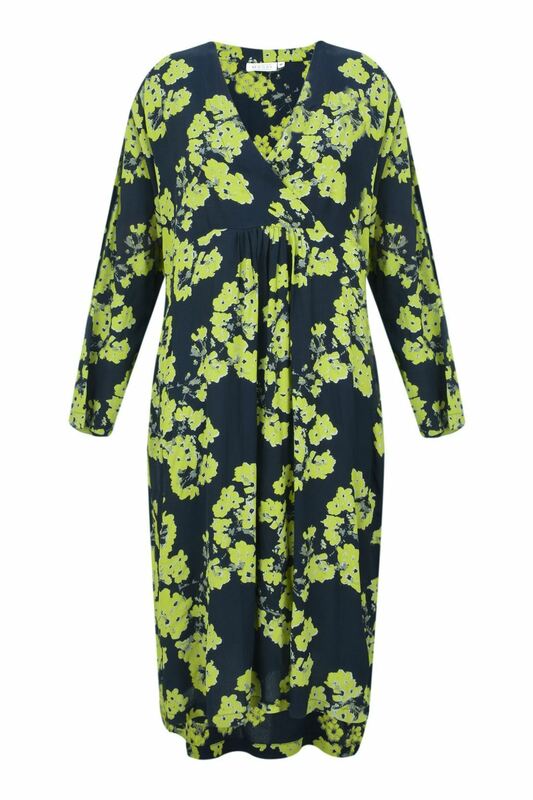 Viscose dress with floral print. It has a simple and stylish design, with long sleeves and an A -shaped design that creates a beautiful silhouette. The dress crosses nicely across the bust, the waist is elasticated at the back to give you a lovely shape at the waist and then falls beautifully and loosely over the rest of your figure. A lovely dress for everyday use as well as special occasions. we recommend hand washing this garment.